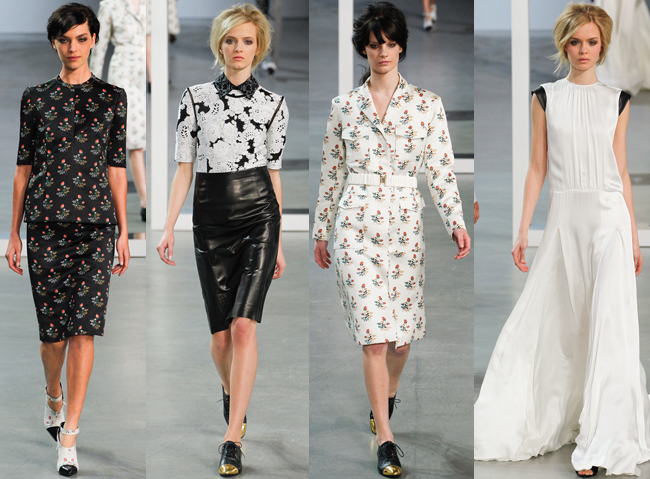 What started off shaky has ended as one of the best fashion weeks in a long while. 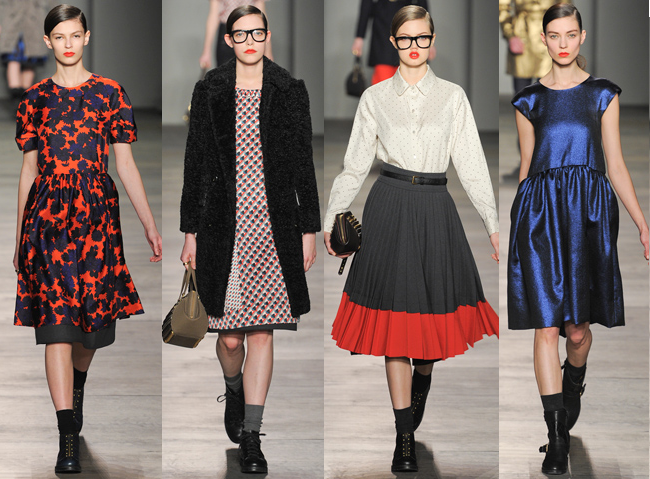 We aren't even out of winter yet and already I am dying for fall again because I can't wait to see these fabulous clothes in action. 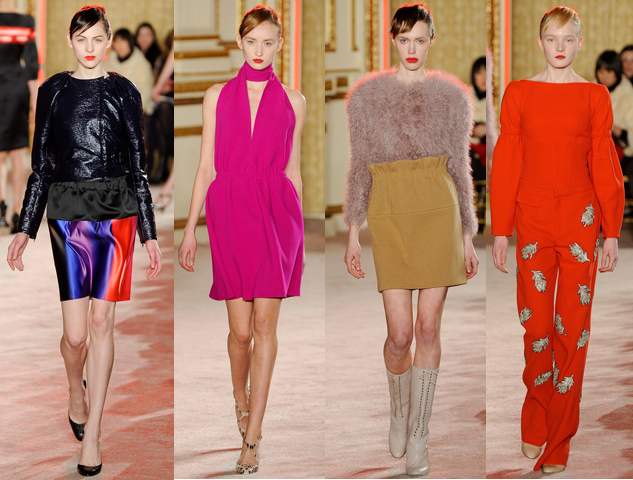 There are so many things I noticed, so keep checking back for more fall fashion recaps. I plan to dedicate a full post to Oscar de la Renta because it was possibly the greatest show thus far. But right now here are some other shows that I couldn't get enough of. Derek Lam has been long heralded as the king of California minimalism and in a way I have always understood his take on minimalism much more than other designers. For fall he went for a very sleek yet youthful vibe that really showed his attention to detail. For Hilfiger's "Town & Country" the designer drew inspirations from country clubs and Park Avenue apartments. 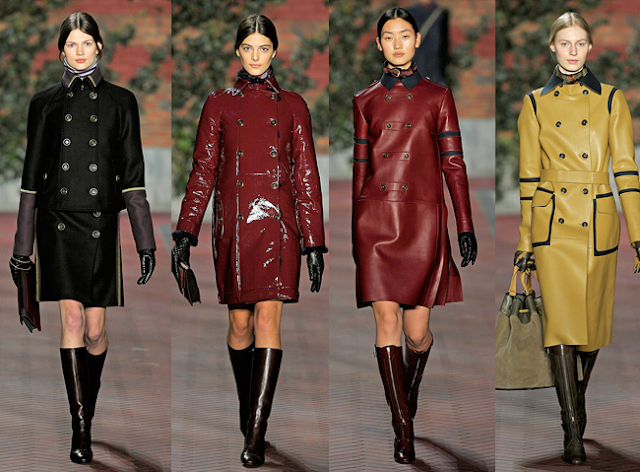 The entire collection was pretty stellar, but what really got me going was the assortment of fabulous leather coats. The rich colors, the plethora of buttons, and the box shapes all made me smile. Marc Jacob's signature line was also a success, which I will most likely talk about later, but his diffusion line deserves some credit too. As a teenager I've always been a fan of the urban youth feel of Marc by Marc, and this collection was full of everything I love about Marc. And really, who doesn't love a girl in a dress and combat boots? Alberta Ferretti is usually a very romantic designer, so it was nice to see her go back to basics for fall. 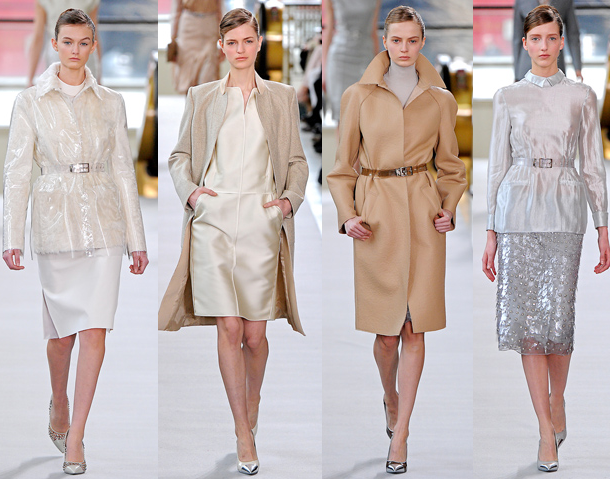 She showed a true mastery of outerwear in soft neutrals that will be sure to fly off the shelves. 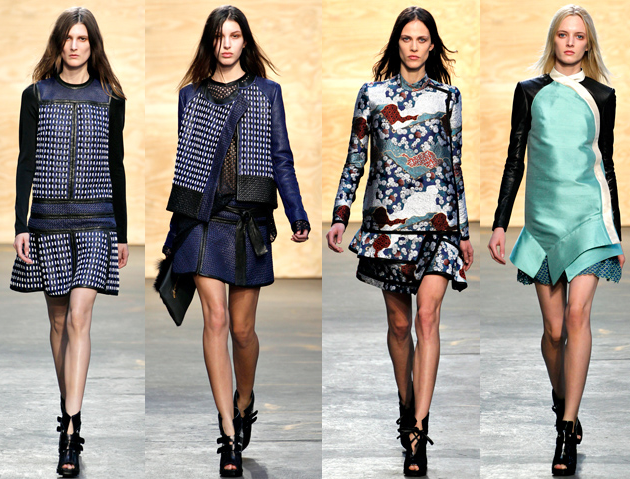 After a disappointing spring show, it was so good to see Proenza Schouler back in winning territory. I loved the shapes and the colors and just the vibe of the whole show. And don't even get me started on that Japanese print. Thankoon is just so much fun. He really understands what the youth want. We want bright colors and leather jackets and fun dresses and he gave it to us. And really, who else could mix fuchsia, highlighter orange, and maroon so expertly?